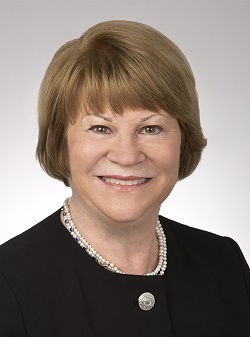 For more than 30 years Mary E. Pivec has been helping employers – large and small – deal with government regulation, protecting them from government overreach in enforcement actions, and providing employers with practical strategies for meeting their compliance obligations and keeping regulators at bay. Rated by peers as AV Preeminent in the Martindale Hubble Attorney Survey, Mary is recognized as one of the most experienced and knowledgeable attorneys in the U.S. in the field of immigration-related worksite enforcement and compliance. Mary has represented employers in over 100 government investigations and enforcement actions involving Form I-9 compliance, employer sanctions and immigration-related discrimination matters. An associate editor and contributor to AILA’s Guide to WorkSite Enforcement & Corporate Compliance, published by the American Immigration Lawyers Association, Mary has trained and counseled hundreds of managers and human resource officers on immigration compliance issues. She has also qualified to testify as a defense expert on I-9 compliance and immigration-related discrimination claims in civil and criminal litigation. Since 1993, Mary has been representing employers targeted for enforcement audits by the U.S. Department of Labor Wage and Hour Division for alleged violations of the H-1B/LCA notice, labor dispute, wage payment, and recordkeeping requirements. Under her guidance and advocacy, her clients have saved hundreds of thousands of dollars in civil money penalties, back pay liability and the potential adverse consequences of debarment. Mary has more than 30 years’ experience in representing companies and executives in government agency investigations and private litigation involving EEO, wage and hour, whistleblower, and employment contract matters. In 2010 she was inducted into the American Bar Association’s College of Labor and Employment Attorneys and honor reserved to leading practitioners of labor and employment law with at least 20 years’ experience in the field. Membership in the College is by nomination of its members only, and recognizes those lawyers who have demonstrated sustained and exceptional services to their clients, bar, bench and public, and the highest level of character, integrity, professional expertise and leadership. Knowing your Clients’ Work Site Rights and Obligations, 37th Annual AILA South Florida Immigration Conference, February 3, 2016. Strategies for Working Around the H-1B Shortage, 37th Annual AILA South Florida Immigration Conference, February 3, 2016. Emerging Trends in Government Investigations, PLI’s 48th Annual Immigration & Naturalization Institute, New York, December 3, 2015. USCIS Ombudsman Teleconference Series: H-1B Changes in Worksite Locations April 30, 2015. Update on Compliance/Audit Issues, 2015 AILA Midwest Regional Conference, March 9, 2015. Responding to Government Audits and Investigations, PLI’s 47th Annual Immigration & Naturalization Institute, New York, December 19, 2014. All Roads Lead to OSC, 2014 AILA Annual Immigration Law Conference, Boston, MA, June 17, 2014. 2014 Symposium of the Council for Global Immigration: Strategies for Defending LCA Audits. Alexandria, VA, June 4, 2014. Lessons from Infosys and Other Compliance Issues, AILA Midwest Regional Conference, March 14, 2014. The Implications of the Infosys Consent Decree, 35th Annual AILA South Florida Immigration Conference, February 2014. Assessing the Implications of Immigration Reform for Employers, ABA Annual Labor & Employment Committee Conference, November 2013. An Update on I-9 Investigations and Enforcement Activity, 10th Annual AILA New England Immigration Law Conference, Boston, March 1, 2013. How to Protect Employers from Immigration-Related Penalties, AILA 2013 Midyear Conference, Panama City, Panama, January 25, 2013.